Fast, dependable 24-hour emergency roof repair when you need it. Your home provides protection for your family and when that is compromised something needs to be done quickly. We provide dependable emergency roof leak repair for homes and businesses when it counts. Roofing emergencies don't happen when you have time for them or when you expect them. They may not always happen during or directly after a storm but that is the most common occurrence. 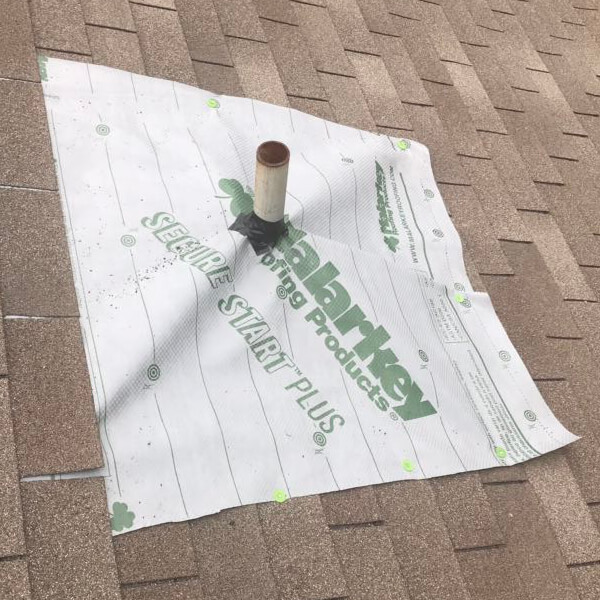 Anything that compromises your roof allowing water to enter should not be ignored, but a scenario that causes a hole in your roof or allows water to noticeably leak into your home needs to be addressed immediately. If you aren't sure, better to be safe then sorry and call us at (405) 607-0966. What you can do until we arrive - the dos and don'ts. Do remain calm and keep a level head. Panic tends to lead to bad decisions that can be costly to you, your health, and safety. Do call your homeowners' insurance agent. They may not be available but you can leave a message. Depending on the emergency, there may be a lot going on and you don't want to forget to call them. They will need to assess the damage to see if the roof repair will be covered by insurance. Do use buckets, trash cans, and even pots to catch drips on the inside. This can help prevent further damage to your interior. Don't attempt to secure or repair the roof on your own. Compromising your own safety will probably result in injury, compounding your problem. Leave this to our specialized roof repair team of professional roofers. Don't even crawl up on the roof to assess the damage. If being outside is not a threat from severe weather such as hail, high winds, or lightning, you can visually assess the damage from the ground. Binoculars may help. Be aware of your surroundings as there could be debris on the ground. What to expect when our roofers arrive. If the situation was caused by a fire and your roof is safe to work on, we'll begin by securing a temporary roof repair tarp or an emergency roof patch. Regardless of the cause, securing your roof by making it watertight is the first goal. Safety is paramount so if there is weather that still poses a danger it is necessary to wait until high winds, lightning, or hail are no longer a threat. This goes for the homeowner as well as professionals. There just isn't anything that can be safely and effectively done from the outside until the severe weather passes. Call (405) 607-0966 for a FREE estimate.